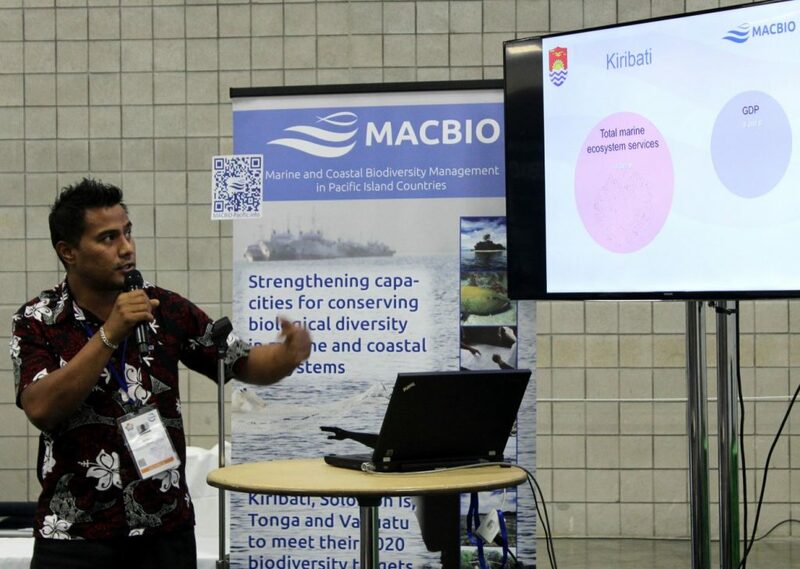 At the recent IUCN World Conservation Congress 2016 in Hawaii – Planet at the crossroads, representatives from MACBIO partner countries provided an overview of the work of the MACBIO project to date. highlighted the oftentimes hidden values of the Ocean, and thus the importance, as well as the progress of marine planning processes in Pacific Island Nations. The message was clear: There is a strong political will to manage ocean spaces, which is being called into action through the creation of ocean specific policies, such as in Vanuatu and Solomon Islands. While valuing, planning and effectively managing the oceans is no easy task, these are necessary steps that must be taken to ensure the sustainable use of ocean spaces by all – on a blue planet at the crossroads.